Africa and football has a long history, and African nations are known for their quality of play. While everyone knows that Africa houses some great football talent, the World Cup might just make us witness some great action. Which of these players are you looking forward to playing the most? Leicester then splashed out £25million to sign him in August and last season he bagged ten goals in 34 games for club and country despite a niggling foot injury. Now he is ready to showcase his talents after being told eight years ago he would grace the 2018 World Cup. Having represented the Super Eagles 14 times in the senior level already, this 21-year-old striker is deemed to be one of Africa’s brightest young players. His trio with OdionIghalo and Victor Mosses has been a key to Nigeria’s dominance in the qualifiers having lost only once in the campaign. His stellar performance for his nation, 9 goals in 13 appearances, promises a performance worth watching out for in Moscow. Iheanacho came on as a substitute in their first game in their 2-0 loss to Croatia but was impressive alongside Musa as he started in the playing XI against Iceland in Nigeria 2-0 win. 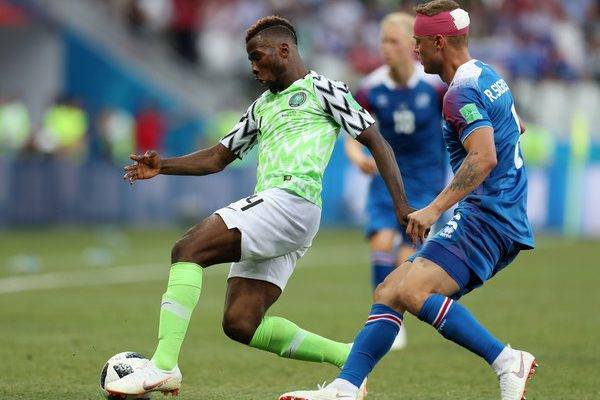 Iheanacho has been crucial in Nigeria’s changed 3-5-2 formation and would be looking forward to another stellar attacking display against Argentina to secure a ticket to the round of 16 from the dreaded Group D.